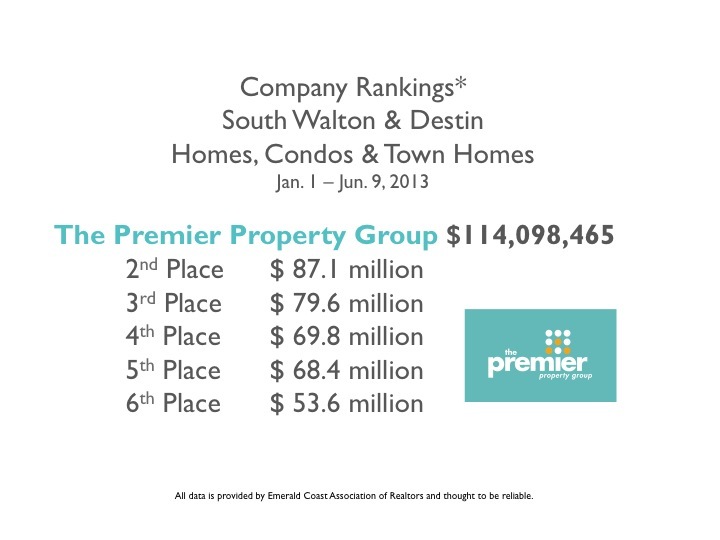 According to data from ECAR (Emerald Coast Association of Realtors), The Premier Property Group Tops the charts for most Homes, Condos, and Town Homes sold in Destin and South Walton Year-to-Date Jun 9, 2013, representing over $114 million in closed sales on either the buyer or seller side. The second place brokerage came in at only $87.1 million. 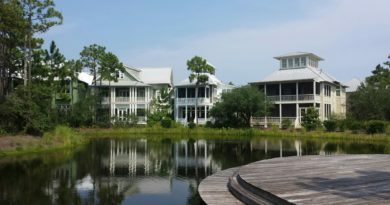 Expanding into the Sandestin and Destin markets with our third office located in Sandestin, at Grand Blvd, has certainly helped our sales for this year, but our two 30A offices at WaterColor and Seacrest Beach have also seen a great year in sales. 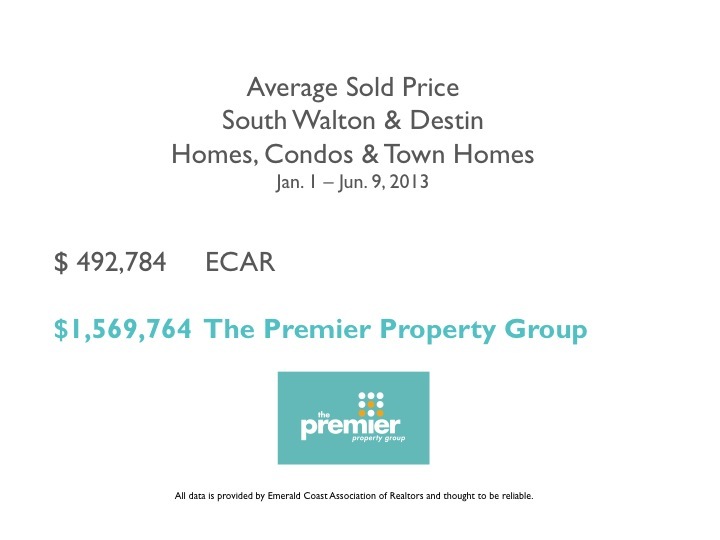 For South Walton and Destin, ECAR agents average sales price was $492,784 for Homes, Condos & Town Homes. 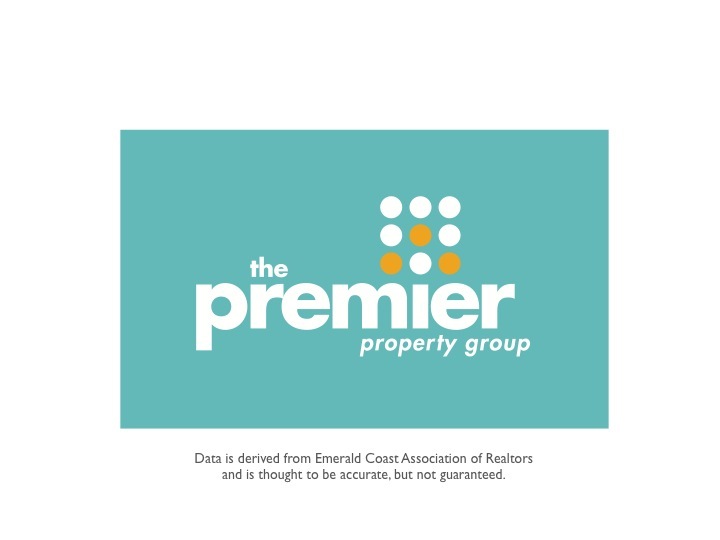 During this same period (YTD June 9, 2013), The Premier Property Group’s average sales price was $1,569,764, more that three times that of the average company. 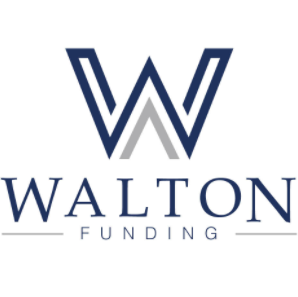 Median Sold Price for ECAR for South Walton and Destin is $324,950 for the combined residential category (excludes commercial and residential land), while the Median Sold Price for The Premier Property Group came in at almost three times that, with $965,000 reported. 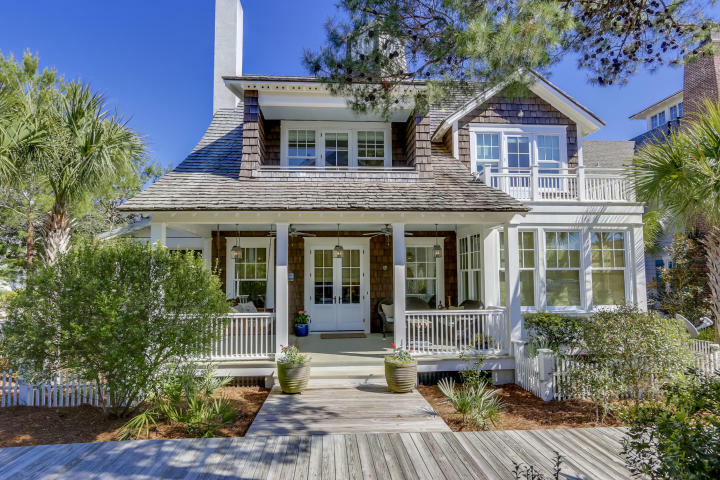 ECAR reports that while the quantity of properties sold was up only 12% in May 2013 compared to May 2012, the dollar volume sold in Destin and South Walton increased by 29%. 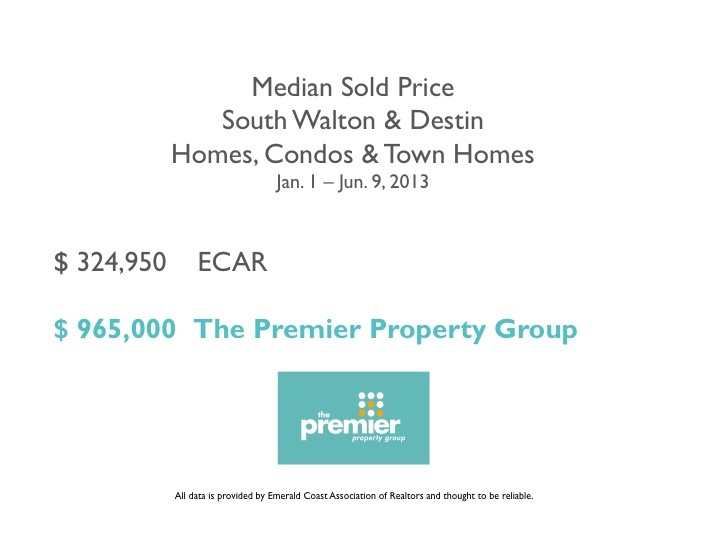 Median Sold Price increased 6%, while inventory levels drop 21% compared to May 2012. 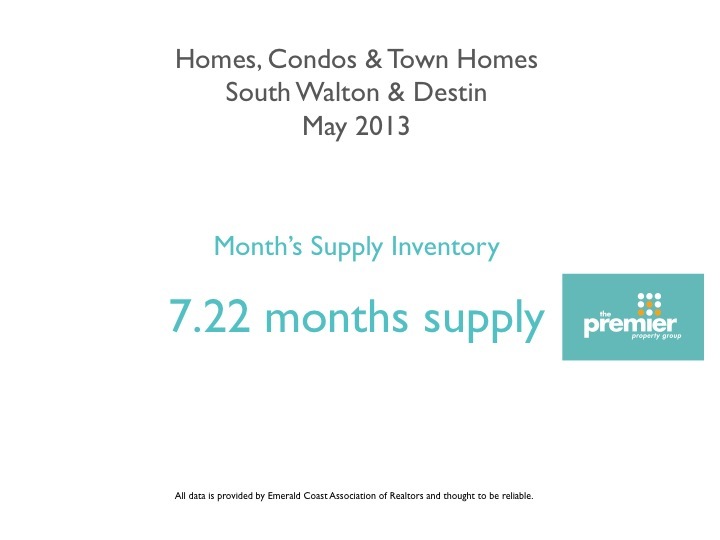 We are now down to 7.22 months supply of inventory, which is beginning to come close to a seller’s market. 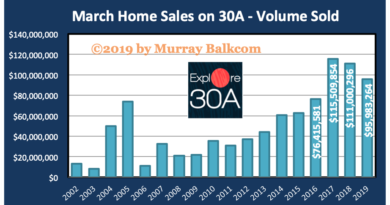 We are still in transition from a buyers’ market, and if inventory continues to decrease, and sales continue at this rate, we will get there sooner, rather than later. Be sure to follow my reports to stay on top of the market.